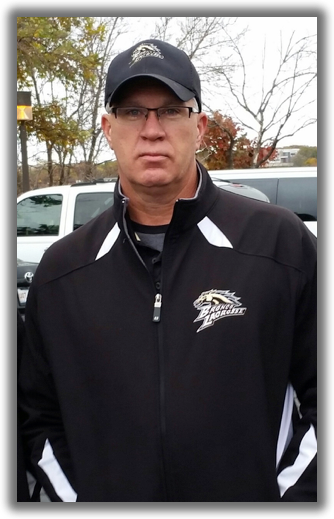 My name is Ken Brubaker a.k.a Coach B. I am a full time lacrosse coach and the founder of 313 Lacrosse. I am a perpetual student of the game and have deep respect for its history and culture. Coaching the game of lacrosse is my passion. I started 313 with one travel team in the summer of 2005. My company is home grown and community based, built one day at a time. I have committed a monumental amount of time and energy to make it work. Fifteen years later, 313 has grown into a full time, nationally recognized Lacrosse Specialties Company. 2006 – 2008: GP Select’s first tryouts are held. Two teams attend the first travel event, the GLLI at Mattawan High School. Out of state travel is added with the team attending (2007) to Summer Sizzle in Baltimore, MD. GP Select goes out of Grosse Pointe for players for the first time (2008) with players from Utica and Macomb County. 2009 – 2010: The 313 Academy is founded, (2009) offering fall and winter training at the Sports Academy in Chesterfield, MI. The first 313 Lax Club is formed to travel to Ithaca, NY for fall Ball. GP Select expands to six travel teams (2010) Players attend from Wayne, Macomb, Oakland counties and SW Ontario. Brandon Davenport becomes the 1st NCAA Division-I recruit. 2011-2014: The 313 Lax Summer Camp is added at GP Academy (2011). The first tournament is added (313 Lax Fest) and followed by the first Fall Ball event (Donnybrook). GP Hornets are formed adding youth travel (2013). 313 created the LBLC Brand and begins to manufacture and distribute sublimated uniforms. 2014- Present: GP Select hits two significant milestones - 500 high school alumni and 100 players now playing collegiate lacrosse. 313 partners with University Liggett, (2015) accessing the best venue in the state. The Michigan Select 99 is launched (2016) bringing 45 NCAA coaches to a local recruiting event.